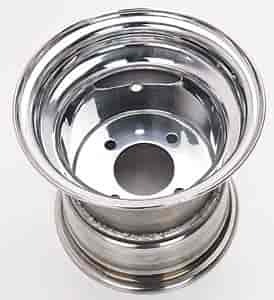 JR Race Car 555-754-03 - 3-Spoke Rear Wheel, 8" x 8"
Jr. Dragster Polished Aluminum Rear Wheels & Tires for your Junior Dragster. How much does each rim weigh? These ship at 3.23 pounds.